These were inspired by all the hiking we do. Walking up and down all those switchbacks! Zigging and zagging. Socks are knit from the cuff down. 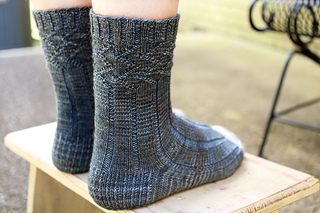 They are knit with a heel flap, heel turn and gusset. 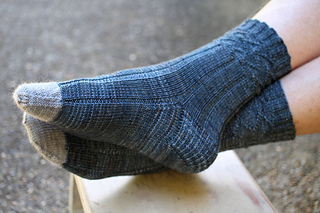 Socks may be knit using DPNs, two circular needles, or one long circular needle with the magic loop method. Pattern includes chart, as well as written instructions.